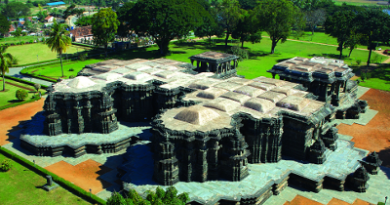 Halebidu is located 30 kms of Hassan – the nearest city. 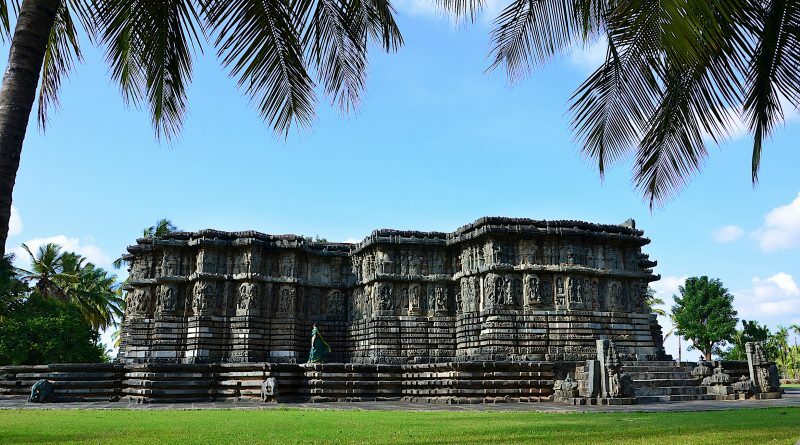 Since accommodation at Halebidu and Belur it’s a good idea to make Hassan your base – from where you can venture out to visit the former capital of the Hoysala empire! During the day, hourly bus services operate between Hassan and Halebidu. … travelling in from Chennai or Hyderabad? Take a bus or train to Bangalore and then take a KSRTC bus from Majestic Bus Stand. Buses heading towards Chikmagaluru or Mangalore stop over at Hassan. Hassan is 5 hours away by train – the Kannur Express, for example, leaves Bangalore City Junction at 8.30 PM. … travelling in from Mysore? Hassan is 120kms away – You could either drive in to Hassan OR take a KSRTC bus. Buses are quite frequent and includes an Airavat service at 11.30PM. Hassan is 2 hours away by train – the Kannur Express, for example, leaves Mysore at 11.20 PM and reaches at 1.20AM the following day. … travelling in from Bangalore? Hassan is 200kms away – You could either drive in to Hassan OR take a KSRTC bus from Majestic Bus Stand. Buses heading towards Chikmagaluru or Mangalore stop over at Hassan. Hassan is 5 hours away by train – the Kannur Express, for example, leaves Bangalore City Junction at 8.30 PM. 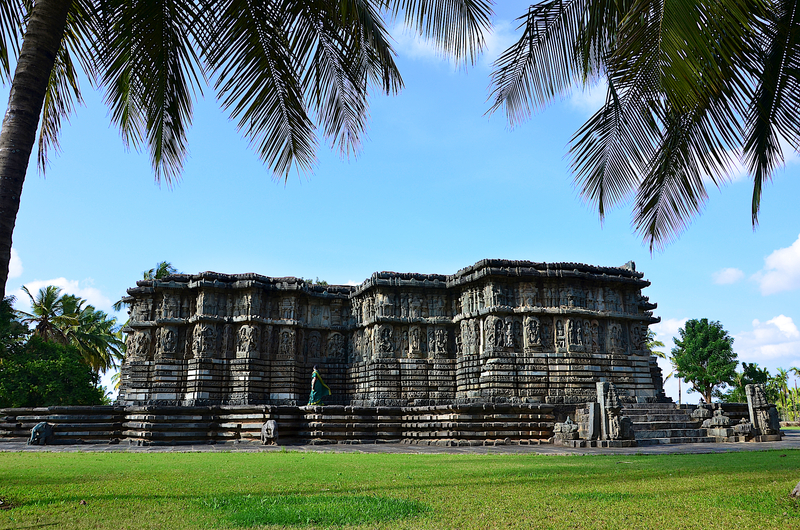 Halebidu is a very small town with limited accommodation options. Explore hotel options in or around Hassan or Chikmagaluru. Below is a list of suggested hotel options. Running with us at Go Heritage Run – Halebidu in the 19th of March? 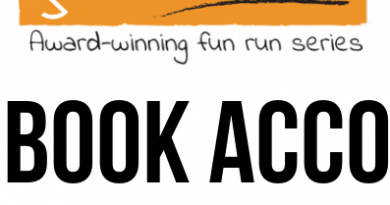 Our run vacation package (hotels, sightseeing and guided tours) may interest you.